Georgeanne Yehling is not a Southern belle but a Southern bramble. An Arkansas transplant, Georgeanne spreads the gospel of Southern food and hospitality at Eggshells Kitchen Co. in Little Rock. She is an emerging professional operatic soprano, amateur gardener, devoted kitchen wench, and crazed Oklahoma City Thunder fan. 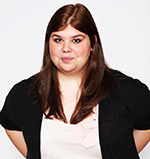 Find her at Southern Fried Soprano, where she writes about navigating the world of classical music and keeping it #arkansassy, no matter where she is. This blog is part of the Enough series on the blog Jamie’s Thots. 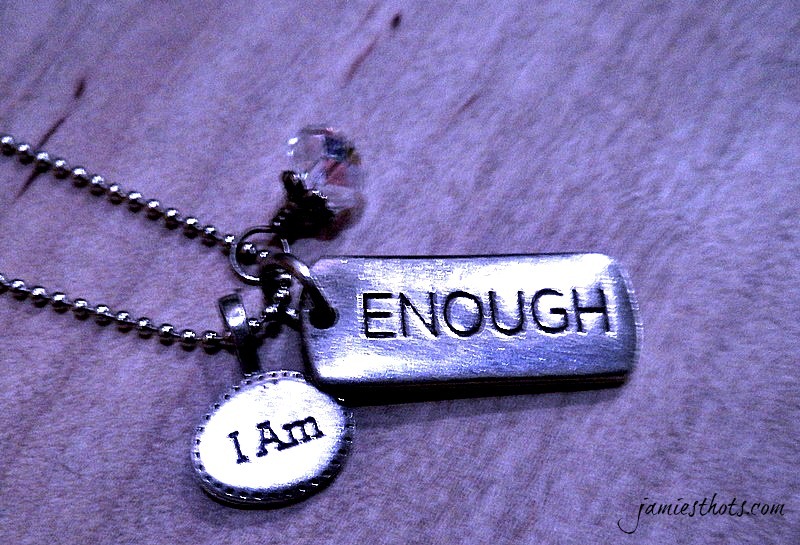 When Jamie asked for my thoughts on the word “enough” a couple of months ago, I had a very different idea of the sort of post I was going to write. Here I am, writing this post the morning before she needs it done, with a completely different idea. That seems pretty appropriate, now that I think about it. You see, the past few months have been an absolute whirlwind, and I’ve been pretty secretive about it, save for the check-ins from airports on Facebook and the occasional posted picture or funny Snapchat while I’ve been on the road. What have I been doing? I’ve been auditioning for graduate school in opera performance. These past months have been filled with comings and goings, entrances and exits, introductions and finales. They have been filled with callbacks and they have been filled with “thank you so much for singing, we wish you all the best”. They have been filled with constant refreshing of email, crossing of fingers, wringing of hands. The asking of questions. The receiving of answers… and the receiving of silence. Which is where I’m going with this idea of enough. Since December 15th (the last day one of my applications was due), I’ve spent a lot of time wondering about my future. I know, that’s something we all do—especially 24 year olds like me, fresh out of college and wide-eyed at this world we all sort of only half-experienced until we were thrust into it, screaming, afraid—wanting to be an “adult” but unsure of what that really means. Thrust into the future. A very vast place, full of infinite possibilities and, likewise, infinite disappointments—but pay those no mind. The future is somewhere else. Somewhere better. For me, for these last six or so months, all I’ve wanted is an answer. A definite answer. Something to tell someone when they ask what I’m doing. Something final. Something measurable. Something real, tangible—something to press my fingers upon and touch, something to grasp and hold tight. When you’re in a very real sort of limbo, wondering what schools (if any) are going to accept you, the yearning for that sort of finality is pretty inescapable. Needless to say, I have spent a lot of time worrying about the endgame and less time worrying about the present game. Where I am right now. What’s in front of me. What I’m seeing today. Who I have near me at this very moment—a moment that will, like all the other moments before it, be gone all-too-quickly. I have an answer now about where I’m going. I expected that answer to be my ‘enough,’ but I think I missed the point all along. My enough was where I was. It was each and every moment I experienced along the way. Sure, my answer is certainly “enough”—it is where I am now, after all— but it was not the only enough. I had enough every moment I was working towards the end, towards the future. My mistake? Thinking that working TOWARD the future was enough. It was enough to be working at all, to be doing something, experiencing something in the present. My favorite book in middle school was Voltaire’s Candide—that’s even before I knew there was an opera (or musical, depending on who you ask) adapted from it, and a long time before I ever heard any music from it. The future is all very well, friends. It being the future, it will still be there tomorrow, and the day after that, and the day after that… but the present leaves us the moment we forget it’s there. I want to cultivate the present. I think that’s enough for me. And considering how behind my garden is, not to mention my housework, this post was one I needed a LOT! Thanks so much, Georgeanne and Jamie!